The speed at which the planet is warming is playing a key role in the decline of bird and mammal species, new research has revealed. As part of a new study, The Zoological Society of London (ZSL) examined 987 populations from 481 species across the world, investigating how the rate of climate and land-use change simultaneously affects the declines of mammals and birds. The lead reason behind the speed of the population declines studied was the rapidity of a warming climate. Rapid climate warming has a particularly detrimental result on bird populations, and indeed the observed effects were twice as strong in birds as in mammals. 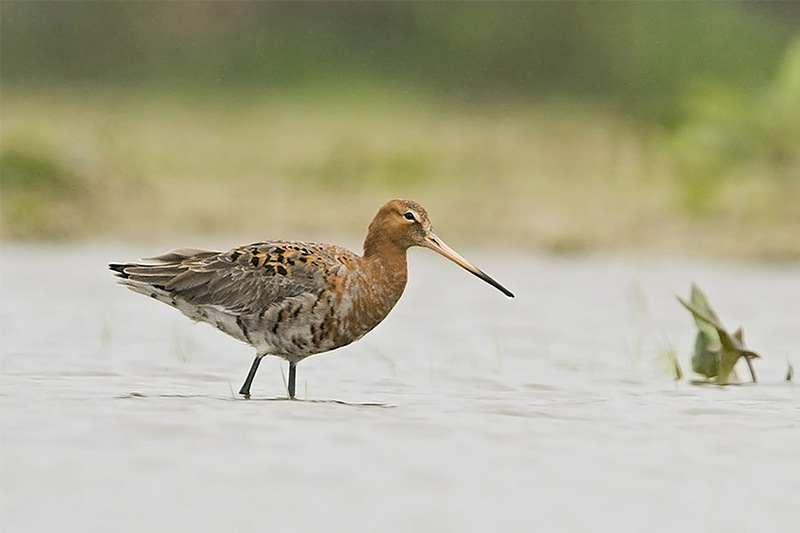 The study also revealed that populations outside of protected areas are more severely impacted, with species such as black-tailed godwit and pink-footed goose some of those highlighted. This finding is particularly stark because, if the rate at which the climate warms exceeds the maximum rate of animals being able to adapt to environmental changes, local extinctions will increase. The study lays out the urgency of understanding the vulnerability of these species to increases in temperature and also offers a projection into a future, in which humans haven’t attempted to mitigate climate change, where animal populations are heavily declined across the world. Along with spiders, insectivorous birds play a vital role in consuming insects that would otherwise destroy forests or crops. Birds around the world eat 400 to 500 million metric tonnes of beetles, flies, ants, moths, aphids, grasshoppers, crickets and other anthropods per year. These numbers have been calculated in a study led by Martin Nyffeler of the University of Basel and published in The Science of Nature, highlights the important role birds play in keeping plant-eating insect populations under control. 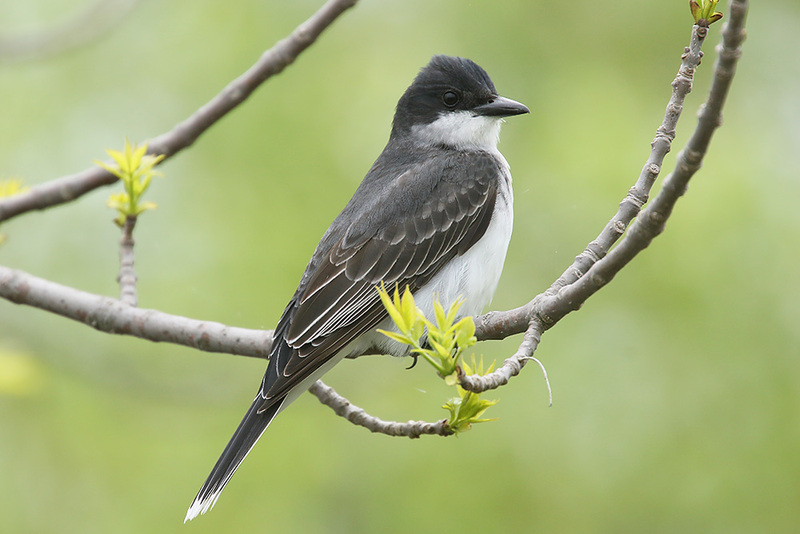 Nyffeler and his colleagues based their figures on 103 studies that highlighted the volume of prey that insect-eating birds consume in seven of the world’s major ecological communities known as biomes. According to their estimations, this amounts to between 400 and 500 million tonnes of insects per year but is most likely to be on the lower end of the range. Their calculations are supported by a large number of experimental studies conducted by many different research teams in a variety of habitats in different parts of the world. “The global population of insectivorous birds annually consumes as much energy as a megacity the size of New York. They get this energy by capturing billions of potentially harmful herbivorous insects and other arthropods,” says Nyffeler. 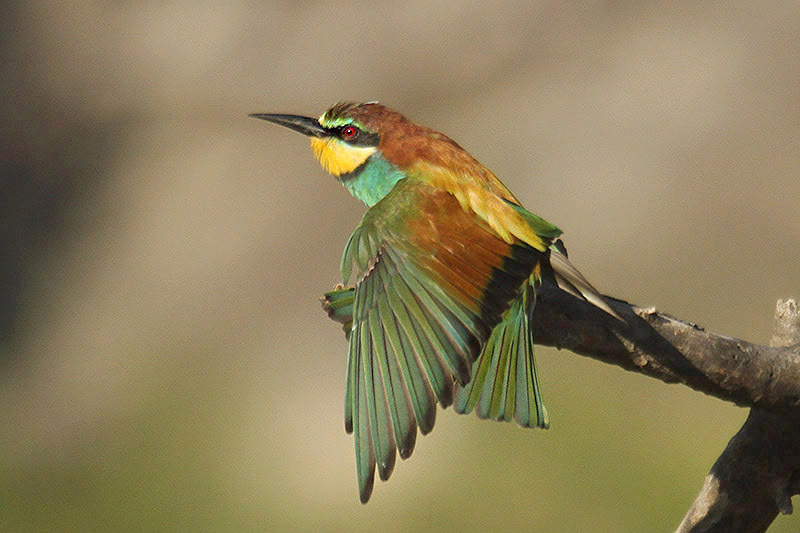 Forest-dwelling birds consume around 75 per cent of the insects eaten in total by birds which make up about 300 million tonnes of insects per year. About 100 million tonnes are eaten by birds in savanna areas, grasslands and croplands, and those living in the deserts and Arctic tundra. Birds actively hunt insects especially during the breeding season, when they need protein-rich prey to feed to their nestlings. 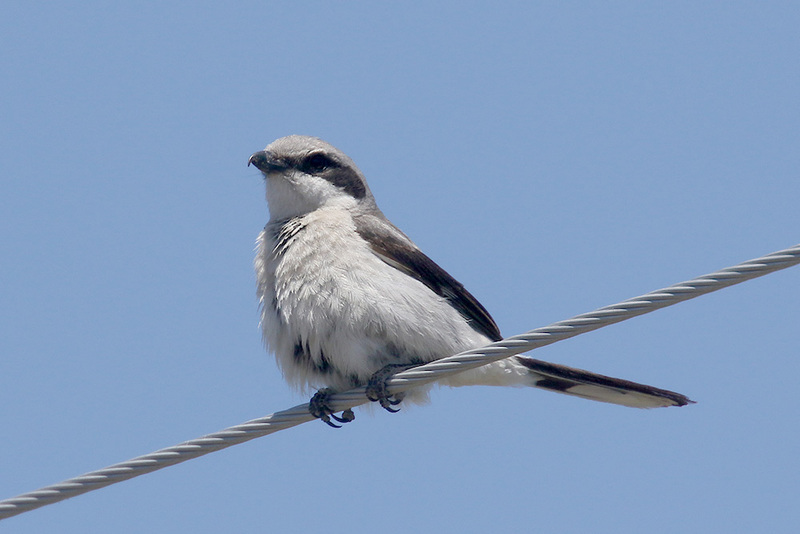 Further, the researchers estimated that insectivorous birds together only have a biomass of about three million tonnes. Nyffeler says the comparatively low value for the global biomass of wild birds can be partially explained through their very low production efficiency. This means that respiration takes a lot of energy and only leaves about one to two percent to be converted into biomass. “The estimates presented in this paper emphasize the ecological and economic importance of insectivorous birds in suppressing potentially harmful insect pests on a global scale — especially in forested areas,” explains Nyffeler, who says that this is especially so for tropical, temperate and boreal forest ecosystems. “Only a few other predator groups such as spiders and entomophagous insects (including in particular predaceous ants) can keep up with the insectivorous birds in their capacity to suppress plant-eating insect populations on a global scale,” he adds. A study from 2017 which Nyffeler also led showed that spiders consume between 400 and 800 million tonnes of insects each year. Other predator groups like bats, primates, shrews, hedgehogs, frogs, salamanders, and lizards seem to be valuable yet less effective natural enemies of plant-eating insects. He says their influence seems to be more biome-specific rather than on a worldwide scale. For instance, lizards help to suppress insects on tropical islands, but less so on a broader scale. “Birds are an endangered class of animals because they are heavily threatened by factors such as afforestation, intensification of agriculture, spread of systemic pesticides, predation by domestic cats, collisions with human-made structures, light pollution and climate change. If these global threats cannot soon be resolved, we must fear that the vital ecosystem services that birds provide — such as the suppression of insect pests — will be lost,” says Nyffeler. “It’s coming home. It’s coming home. 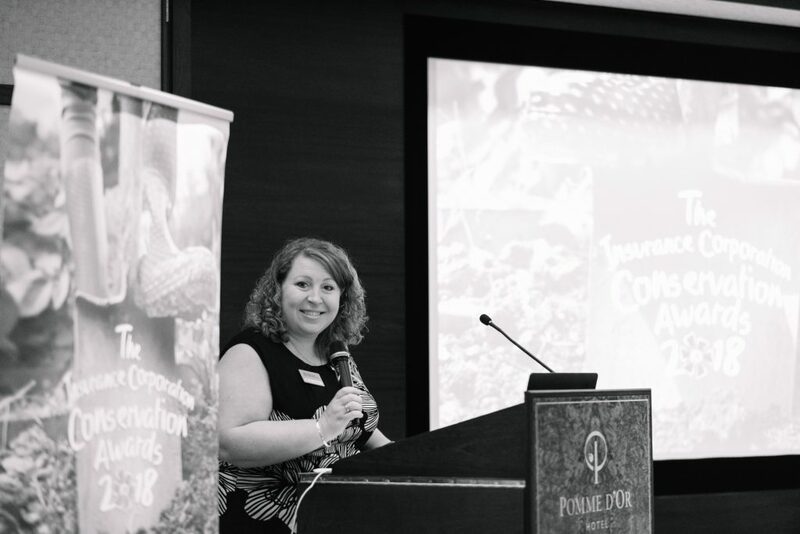 It’s coming, the Insurance Corporation Conservation Awards 2018 are coming home“. OK so not as catchy, but the sentiment is the same. 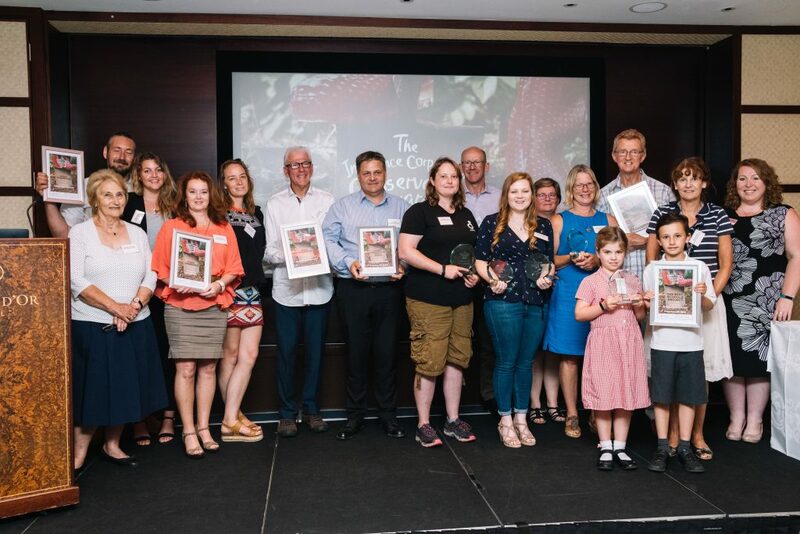 Our work with the choughs (see earlier blog entry here) claimed top prize at this year’s Insurance Corporation Conservation Awards. And yes, we are well chuffed. You can watch an edited version of ITV News interview here. It looks at how the choughs and Ronez Quarry have been working together to improve Jersey’s biodiversity. 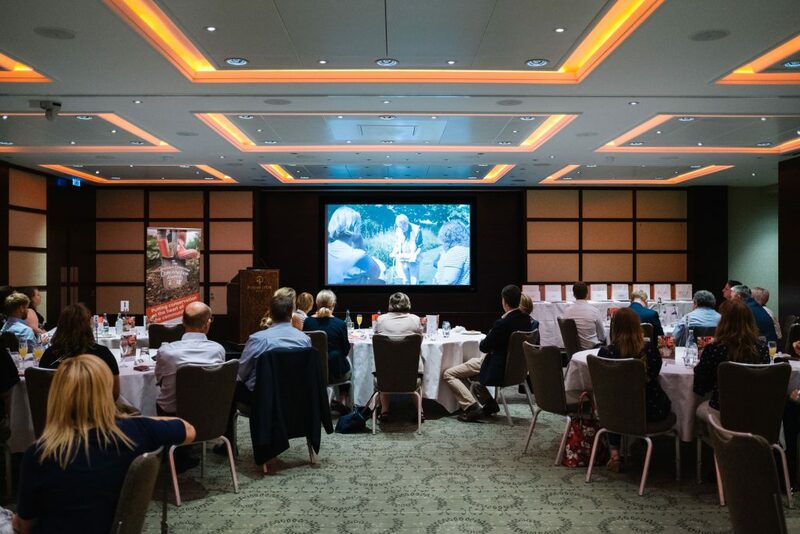 We will use the prize money to enable school groups visiting the quarry to learn about Jersey’s wildlife and develop field skills in bird identification. The remaining money will be used to pay for the DNA sexing of this year’s wild chicks. There was a shared sentiment amongst the nominees that whilst we have submitted individual projects we are all working towards the same goal. And that all the projects are inter-linked in some respect. For example, Littlefeet’s beach cleans are important to the wildlife species Durrell are trying to save. Birding Tours Jersey need birds otherwise the tours would be really boring! Removing plastic waste from the beach helps Jersey’s seabird population stay afloat (literally!). 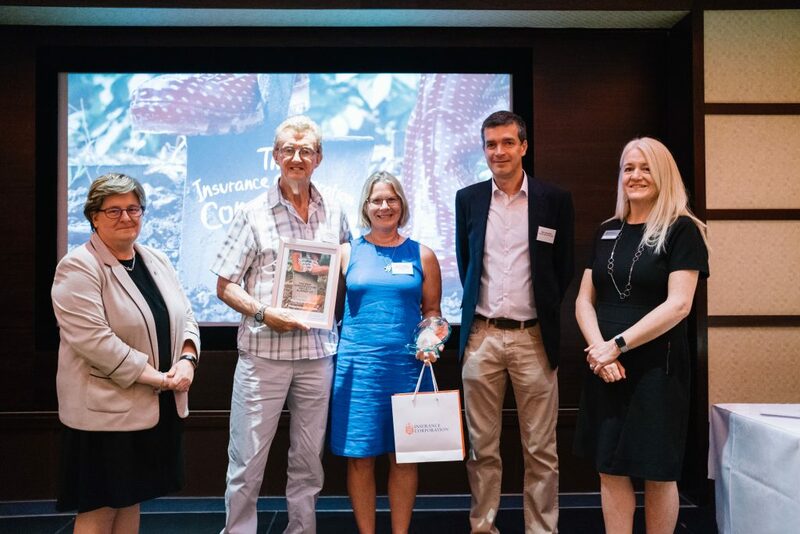 Birding Tours Jersey, was this year’s runner-up receiving £1000 towards the free birding tours given to islanders. 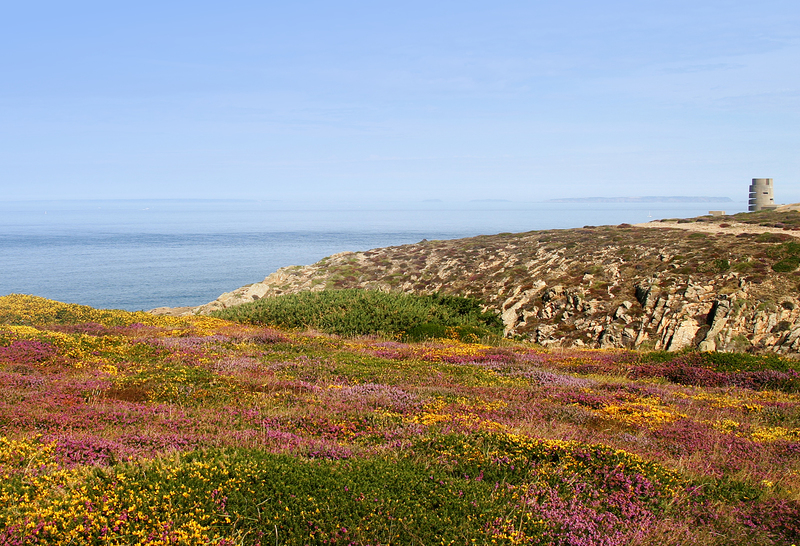 This year they have hosted three puffin watch tours and several dawn chorus walks to highlight the wonders of Jersey wildlife. And to add to the connection to nature that our projects share, Neil was one of the first chough volunteers before leaving to start Birding Tours. Another nice link was seen with the Conservationist of the Year Award and the Peter Walpole People’s Choice Award. 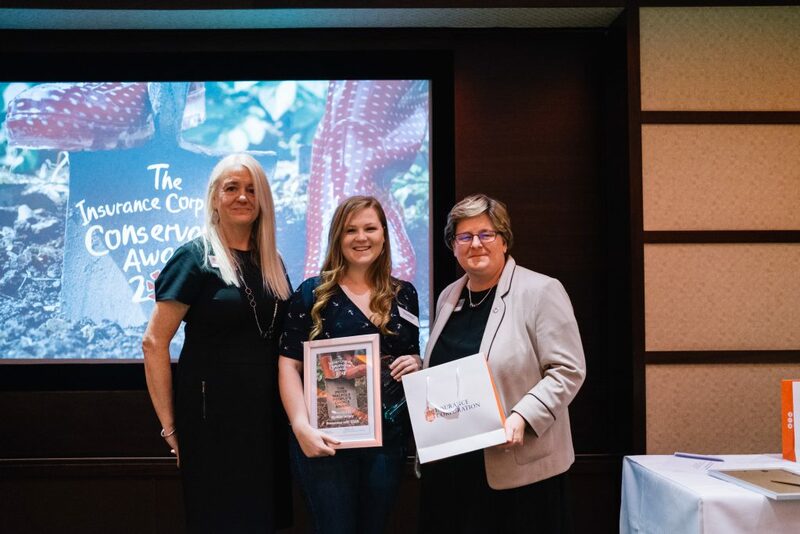 Both of which were awarded to Sarah Maguire for her BioBlitz project in schools. BioBlitz is run through the Jersey Biodiversity Records Centre. Sarah also works for Durrell in our Education team at the Zoo. 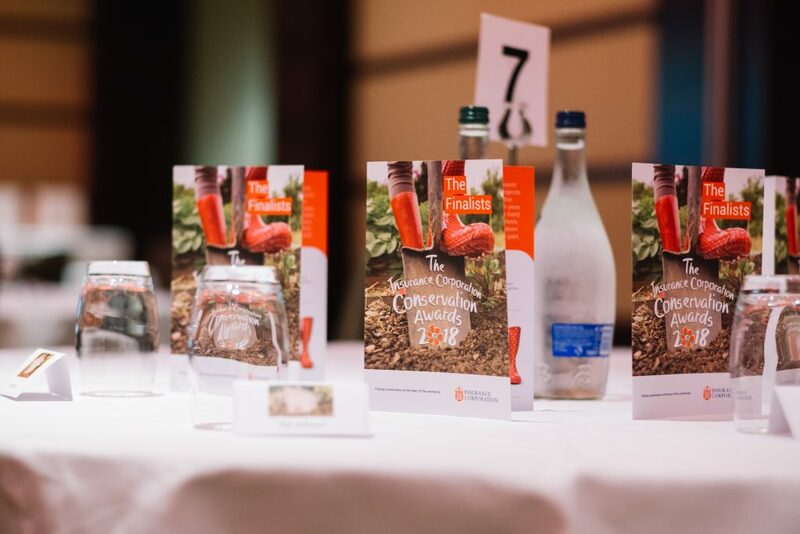 It is cliché to say it, but everyone is a winner in the conservation awards. Unlike a certain World Cup. 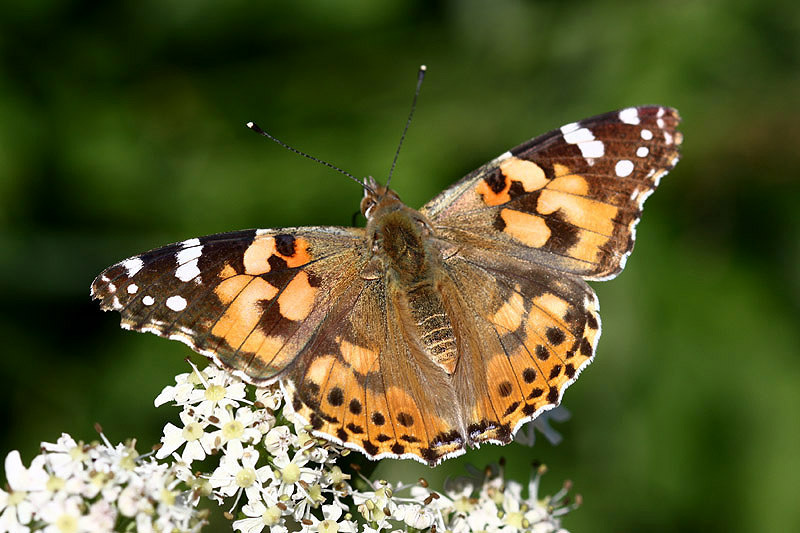 The painted lady butterfly is a migratory species in Europe, and common visitor to the Channel Islands, previously known to migrate from Europe to the Afrotropics during the autumn. Butterflies are obviously much harder to track on migration than birds and the fate of this butterfly species and its offspring remained unknown. 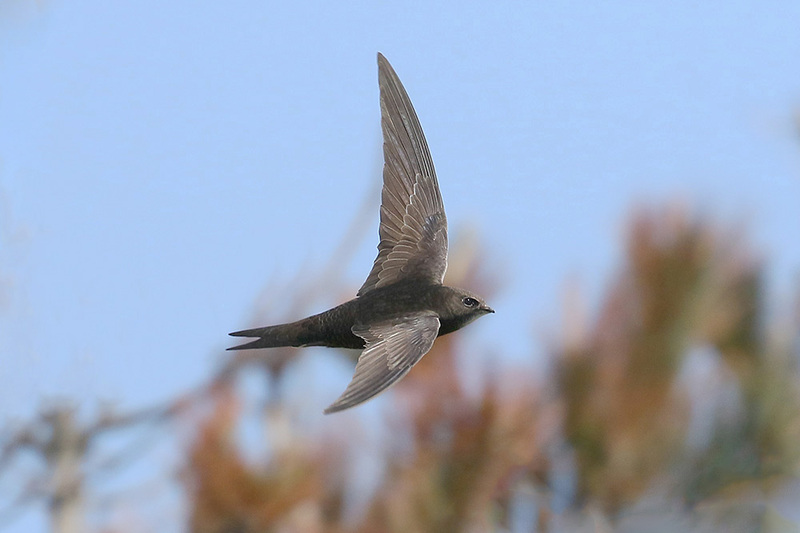 Butterfly migration can be very different to that in birds where a bird like the swallow moves between, often very distant but well demarcated, summer and winter areas. The best known butterfly migration is perhaps that of the monarch in North America where despite there being well known and well demarcated summer and winter areas, generations of monarchs will never see the winter areas but are essential in the species life cycle (see the fascinating story of the monarch here). 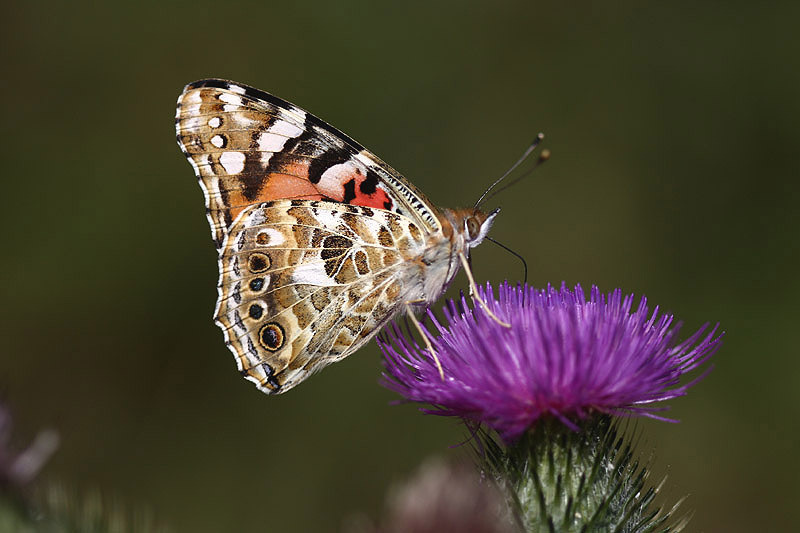 Researchers were now able to demonstrate that painted lady butterflies return from the Afrotropical region to recolonise the Mediterranean in early spring, travelling an annual distance of 12,000 km across the Sahara Desert. 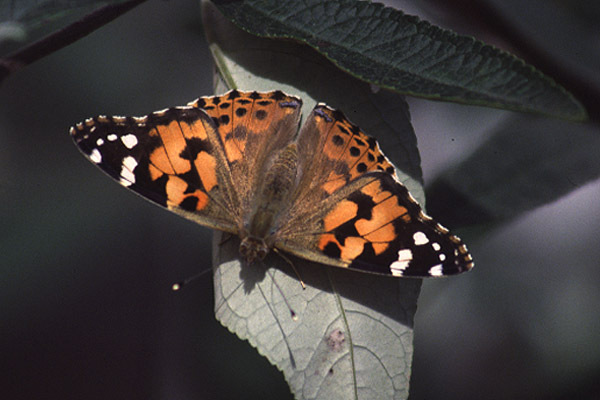 While the Palearctic-African migratory circuit is typically associated with birds, scientists from the Institute of Evolutionary Biology (IBE), a joint research centre of the Spanish National Research Council (CSIC) and Pompeu Fabra University (UPF), in Barcelona, Spain, found that the painted lady Vanessa cardui endures annual trans-Saharan circuits like some birds do. This butterfly species travels 12,000 km and crosses the Sahara Desert twice to seasonally exploit resources and favourable climates on both sides of the desert. Few species are known to perform annual long-range trans-Saharan circuits, and that of the painted lady is the longest migratory flight known in butterflies to date. In a previously published study, the researchers demonstrated that painted lady butterflies migrate from Europe to tropical Africa by the end of summer, crossing the Mediterranean Sea and Sahara Desert. The fate of these migrants and that of their offspring remained unknown. 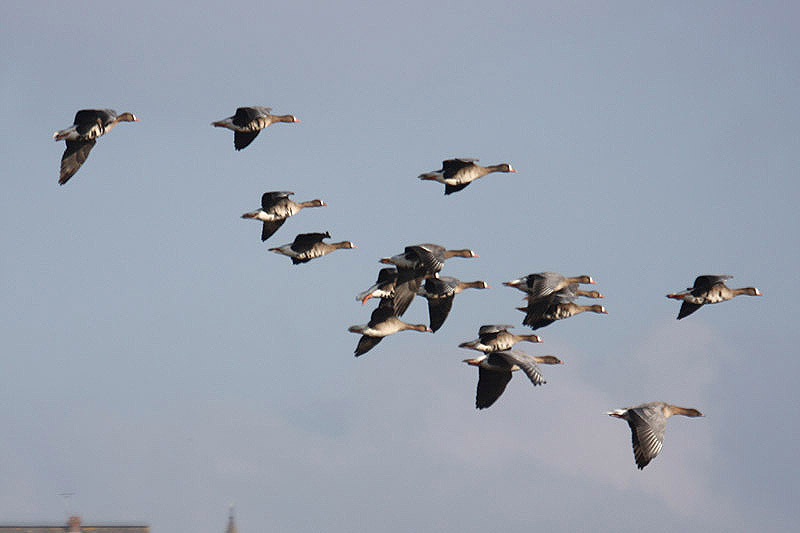 “Our hypothesis was that the species initiates a reverse northward migration towards Europe in spring, thus completing a regular migratory cycle,” states Roger Vila, one of the researchers. With the aim of confirming this hypothesis, they studied the natal origin of the butterflies that reached the Mediterranean region in early spring. To do so, they analysed the stable hydrogen isotopes of the butterflies sampled in Morocco, Andalusia and Catalonia in Spain, Crete, Egypt and Israel. An isotope is a form of a chemical element whose atomic nucleus contains a different number of neutrons compared to protons in the nucleus. In water, the proportion of hydrogen and its stable isotope depends on the geographical location. When absorbing water, this proportion is maintained in plants; it later remains in the caterpillars that feed on these plants, and, eventually, in adult butterflies. By analysing the hydrogen stable isotopes found in the wings of adult butterflies, the researchers could determine where they had developed as caterpillars. “It is difficult to study the movement of insects by means of observations, marking or radio tracking, since there are millions of individuals and they are very small. This is why finding out where a butterfly grew up before undergoing the metamorphosis by means of stable isotope analysis turns out to be extremely useful. It feels like magic,” says Gerard Talavera, who led the research. The results show a major proportion of specimens stay in the Afrotropics during winter and that those recolonising the Mediterranean are most probably their offspring. This scenario closes the loop for the Palearctic-African migratory system of Vanessa cardui and shows that the annual distance travelled by the successive generations may reach about 12,000 km, including crossing of the Sahara Desert twice. Whether the painted lady does regular migratory circuits similar to those of the monarch butterfly in North America was a matter of scientific debate. This research reveals the parallelisms in such a unique evolutionary adaptation.